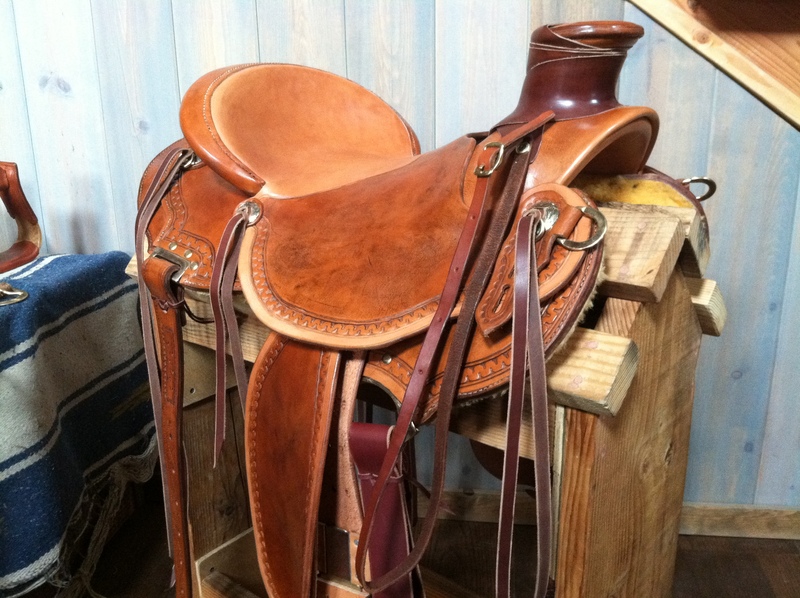 This 15 1/2″ Wade saddle (completed in February) is built on a Bowden tree with full quarter horse bars. The gullet is 7’2” tall and 6 ¾” wide. 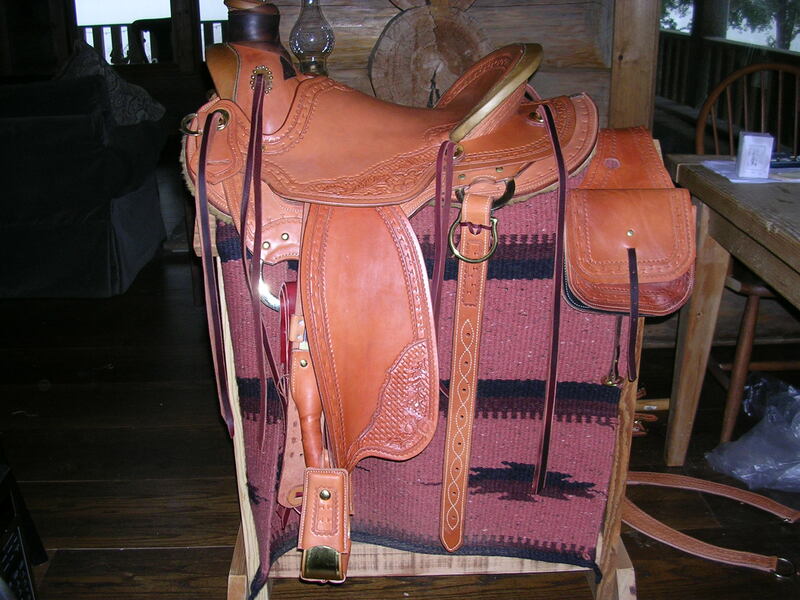 It has a 15 ½ “ seat, 4” cantle with a Cheyenne roll. The wood past horn is 3 ¼ “ tall with a finished cap of 4 ¼ “. It is made with Herman Oak leather and Bork solid brass hardware and has in-skirt flat plate rigging. The finish is dark brown with a serpentine border stamp. 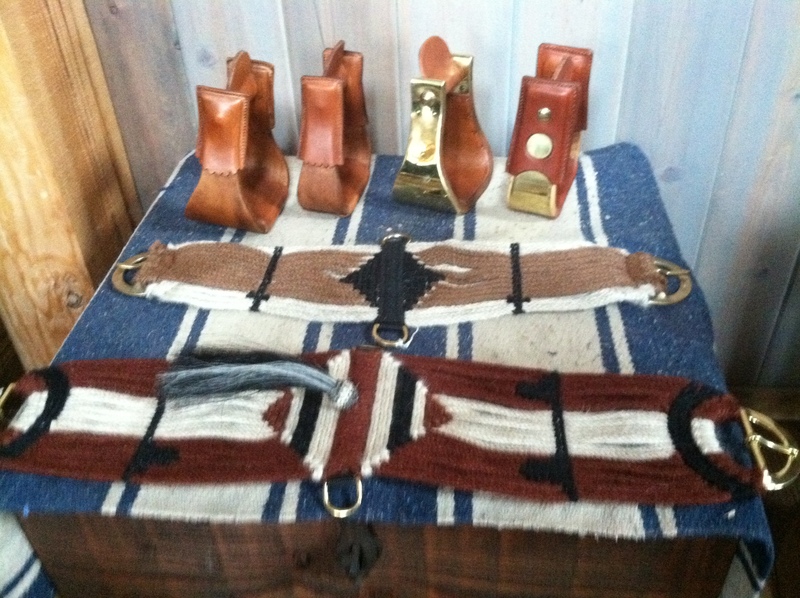 Mohair cinches are available along with wooden and brass bound stirrups. 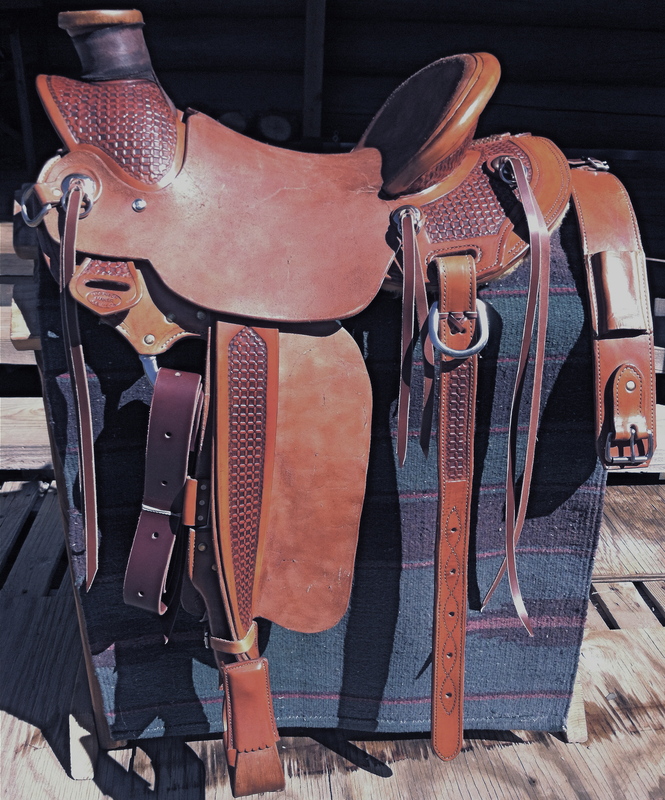 This is a lightweight saddle at 32 lbs and is built stout enough for any roping use. Cost is $2400 as shown. 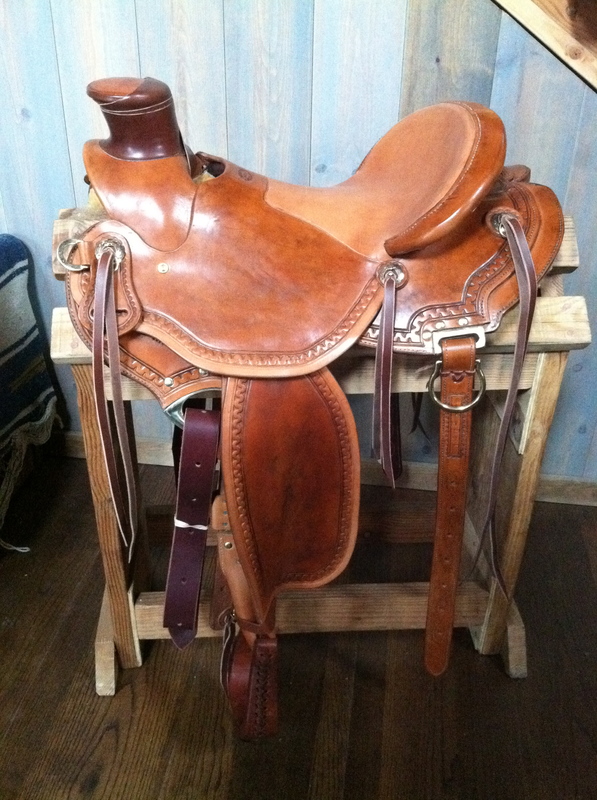 Dave completed a second 15″ roughout Wade saddle in March. It is built on a 15” Bowden tree with quarter horse bars. The gullet is 8 ½” tall and 6 ¾” wide. It has a 3” wood post horn with a 3 ¾” rawhide bound cap and is wrapped with brown mulehide. 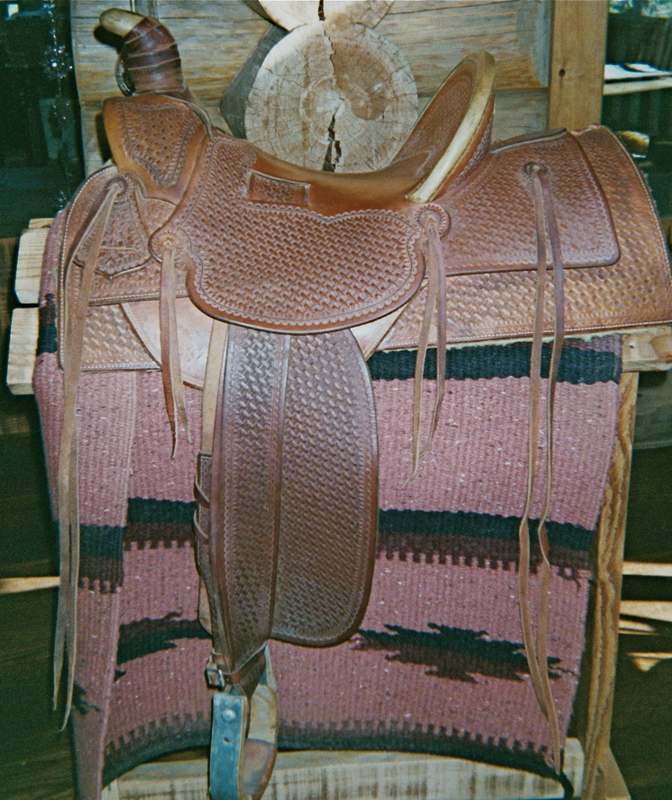 The cantle is 4” tall with a 1” Cheyenne roll. 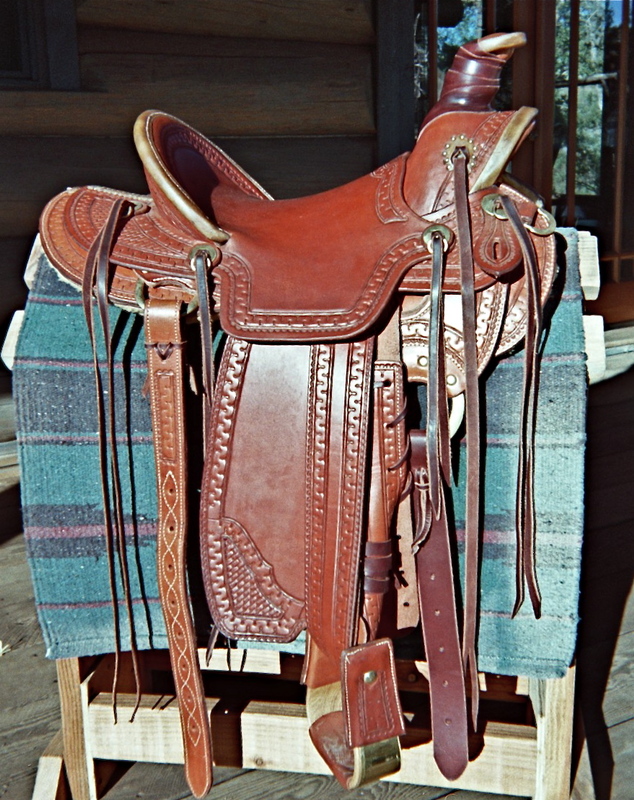 The seat and fenders are roughout with overlaid stirrup leathers twisted to face forward. The stirrups are Nettles 2 ½” half-covered oak. The rigging is in-skirt, flat-plate style with stainless “o” ring front and rawhide reinforced rear slot. The rear jockey is sewn to the skirt which is rounded and cut up under the leg for close contact. 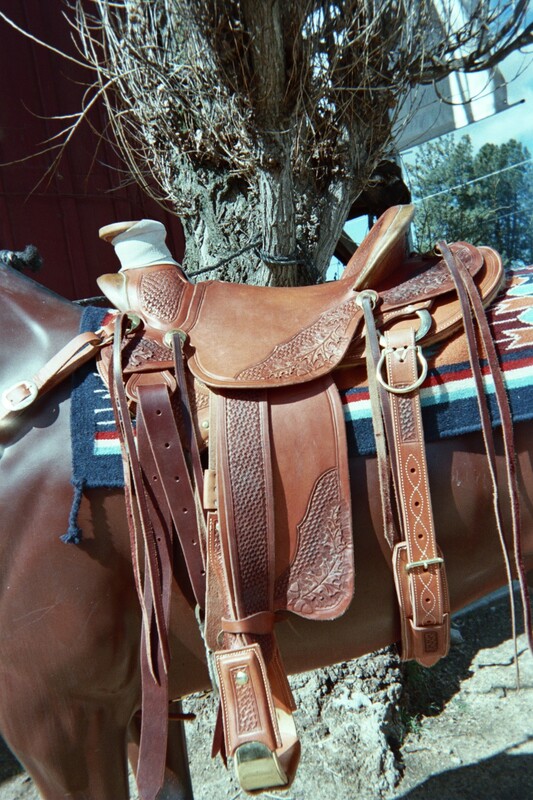 Skirt length is 25 ½” front to rear to relieve pressure on the horse’s shoulders and hips. Herman Oak heavy skirting is used and the total weight with both cinches is 33 lbs. 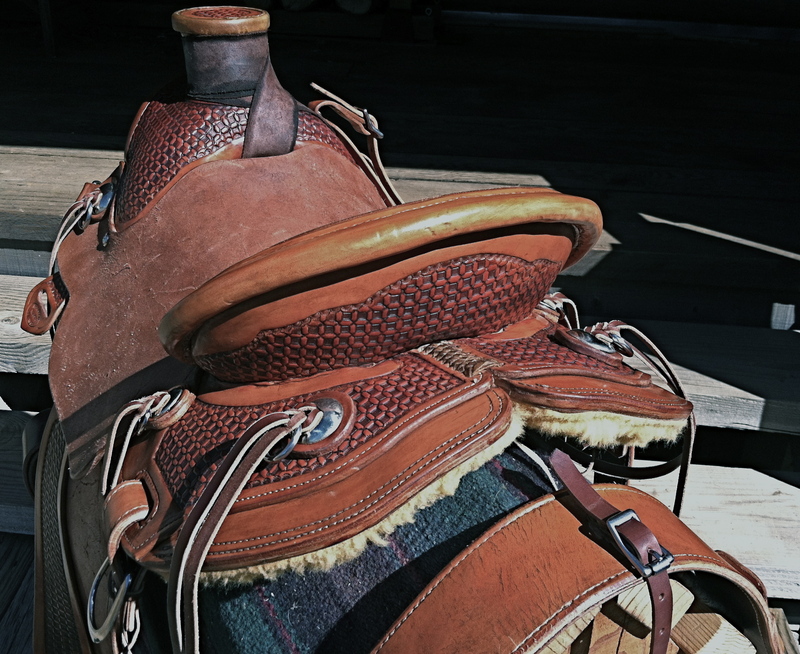 Upgrades include mohair cinches and monel stirrups. Price is $2400 as pictured. Dave can be reached at (619) 990-9578.